Thanks again for the great tune! Tim tuned my 03 GT three times in the past. With the Mach I decided to give a new local tuner a try who is much closer to me than Tim. This new tuner reassured me that he can tune my Vortech supercharged stalled auto Mach 1 easily with no issues. On the dyno the car made decent power, but when I got the car on the street and to the track there were nothing but issues. After 7 months of being patient trying to work through the issues, requiring a lot of data logging on my part, the car still wasn't right after 8 tune revisions. I was told to swap plugs, and front 02's and see how it does. Well, if I'm swapping plugs, front 02's, and being told to get my injectors flow tested (which I didn't do because I didn't think there was an issue) after less than 800 miles, I'm taking it to another tuner. 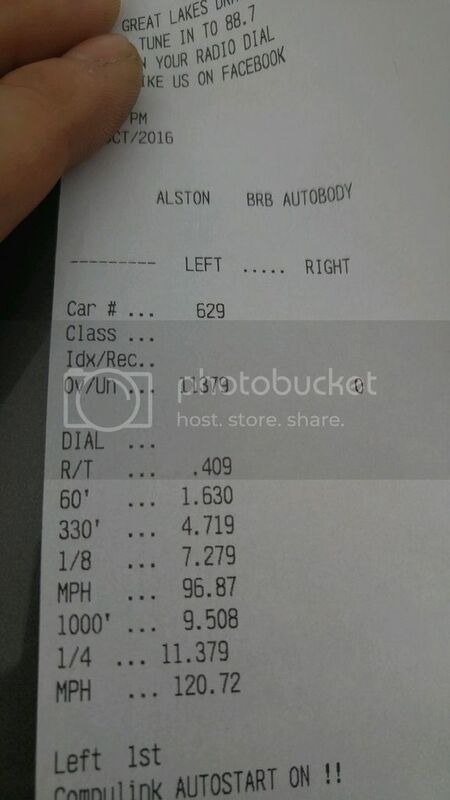 Tim did a base line pull with the old tune and 5 dyno pulls later the car was dialed in. 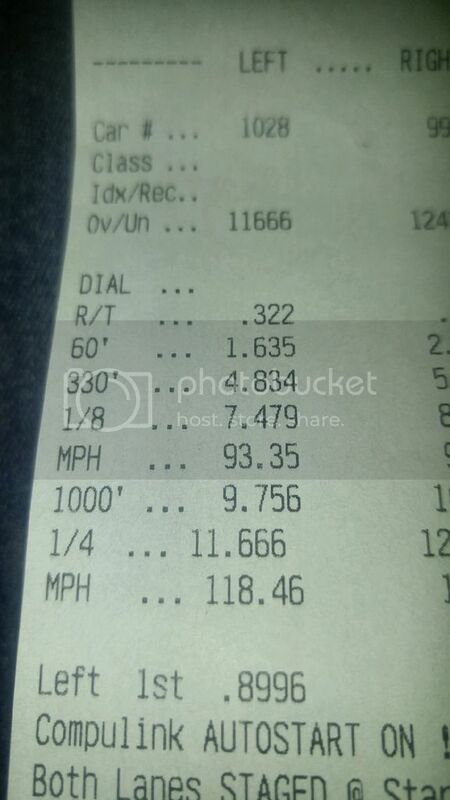 Picked up 42rwhp/31rwtq with Tim's tune with some hot IAT's in the 140's. Took 3 short street drives to get the drive ability dialed in. In 3 hours Tim did what this other tuner tried to accomplish over 7 months. My mistake of going against my gut feeling and not bringing it to Tim from the start. I could've been enjoying the car all summer. The dyno sheet below compares the other tuners tune with an unlocked converter, Tim's tune with an unlocked converter, and 1 pull with the converter locked. Mods listed in the video. I took the car to the track yesterday and my goal on 275/40/17 Toyo Proxes TQ drag radials in full street trim with no weight reduction and 50lbs of tools in the trunk was to get into the 11's. Playing with the launch I was rewarded with an ET that I planned on running on my 15x8 Weld and Hoosier drag radial setup the next time I go to the track. Car has stock motor, trans, and rearend. Last edited by blownstang; 10-16-2016 at 09:55 AM. Car went faster yesterday at GLD. Slightly cooler air than 2 weeks ago and the lighter rear wheel/tire setup helped out dropping some lbs from rotating mass. The 275/50/15 Hoosier DR's didn't 60' any better than the 275/40/17 Toyo DR's. Car is full weight and has to be weighing in at over 3700lbs with me in it. Will be looking to put it in the 10's next year at full weight, stock motor/trans/rearend, and the help of some meth or possibly e85 as it is only seeing 11 degrees of timing right now. Tim has this car running strong! Nice meeting you man, car looked good! Thanks Mike! Was great meeting you and having both of you there during tuning. 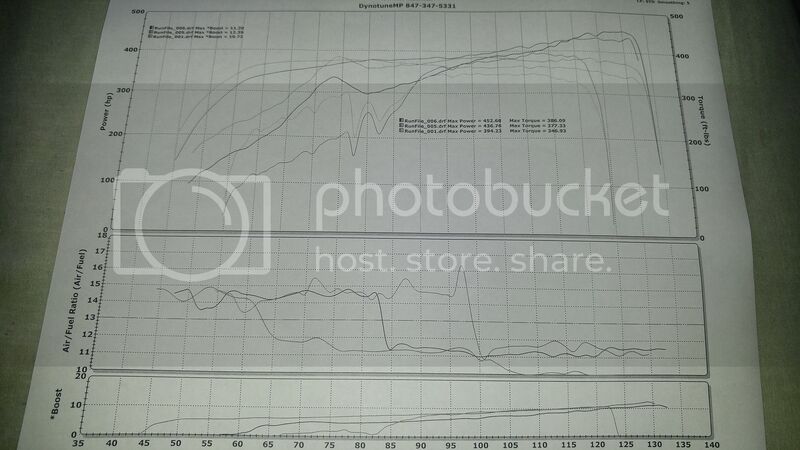 Figured I'd update this since I mentioned going E85 and shooting for 10's at full weight on the stock motor. Finally got around to doing the fuel system to handle E85. Unfortunately Tim no longer tunes Mustangs so I decided to go with a remote tuner that was willing to get me a little more power out of the stock motor. Actually turned out to be one of Tim's old friends. Power on 93 came out to be almost identical. On E85 added 2.5 degrees and running out of injector. I kept the 60lbers since I'm still on the stock motor and the tuner doesn't like the SD 80's. Last edited by blownstang; 10-25-2018 at 06:54 AM. Very nice! That should help power it into the 10s! I keep looking at the weather and track schedules. I'm itching to get out one more time after running 11.0 @ 121. If I could still find some quality E85 this year I'd take it to the track next month weather permitting. Tested one station yesterday thats usually 85 all summer and it was 77 yesterday. 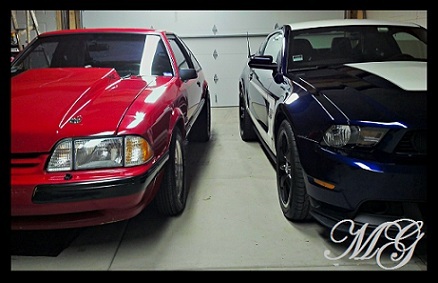 Damn, didnt know Tim was no longer doing mustangs. Was considering having him retune mine for E.